Eastern box turtles (Terrapene Carolina Carolina) have many variations in the colors and marking patterns on their carapace (top shell), legs, and plastron (bottom shell). 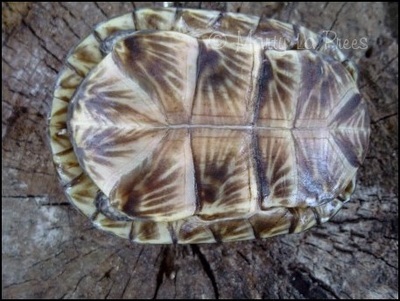 The carapace is dark brown with yellow, orange, or red markings, marked with lines and/or medium dots. 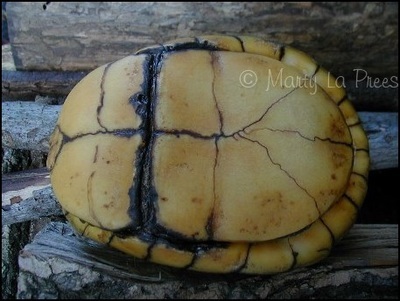 The plastron can be yellow, black or a combination of both. 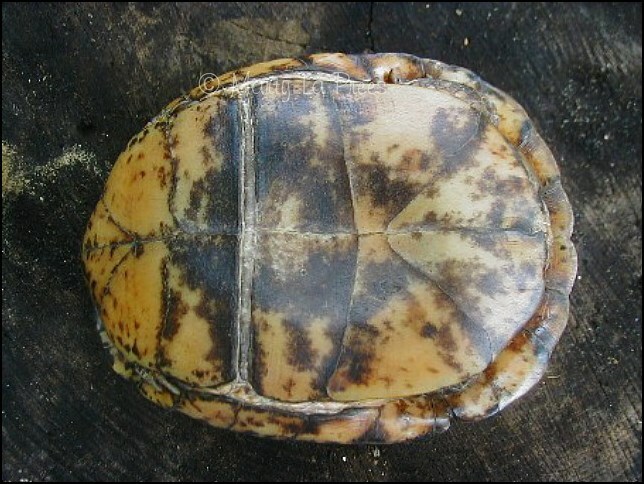 The skin areas are brown with yellow or orange markings. There are 4 toes on the back feet. 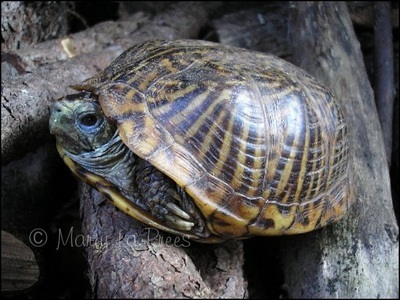 Eastern box turtles live in moist woodlands. They are native to the southern area of Maine, along the eastern seaboard to southern Georgia, west to the Mississippi and northward into Michigan. 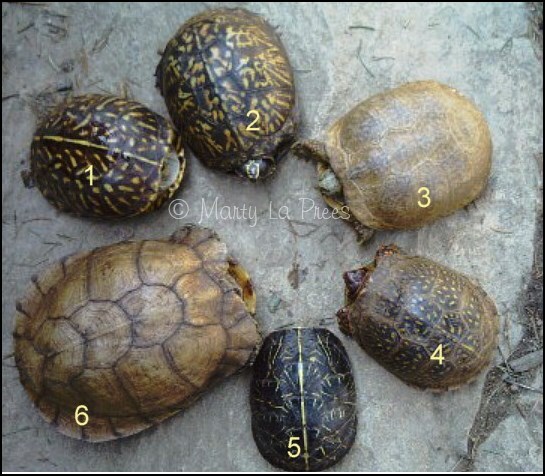 Three-toed box turtles (Terrapene Carolina Triunguis) have a narrow and keeled carapace which is usually tan, light yellow, or olive. The plastron is often yellow with no markings. Dark borders around the scutes may be seen. The males plastron is not as concave as the male eastern box turtle. The head, neck, and legs are spotted with bright orange, yellow or red. 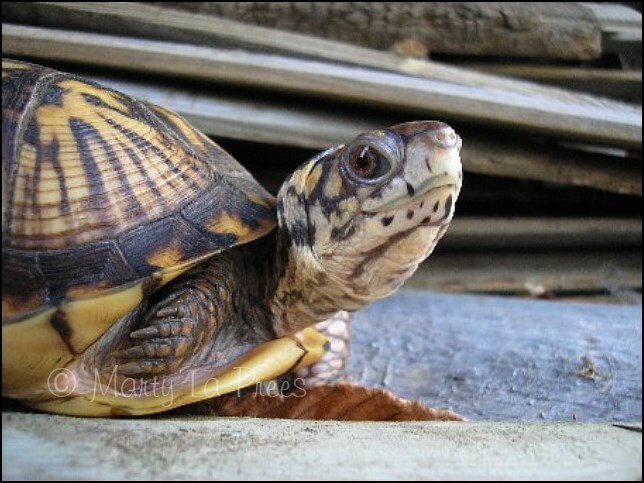 Males often have very colorful heads. There are most often 3 toes on the back feet. 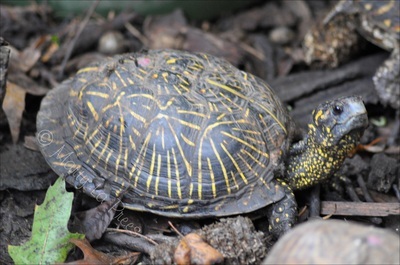 These box turtles live in moist, forested areas with patchy sunlight. They are found in the central part of North America, west of the Mississippi and into Alabama. Gulf Coast box turtles (Terrapene Carolina Major) are the largest and most aquatic of the box turtles, with long and high domed carapaces. The back scutes are flared and the color can be brown to almost black. 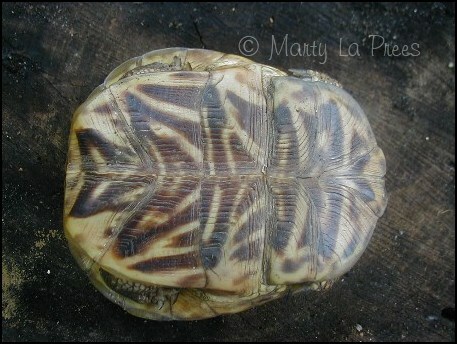 There are sometimes dull spots or lines on the carapace. 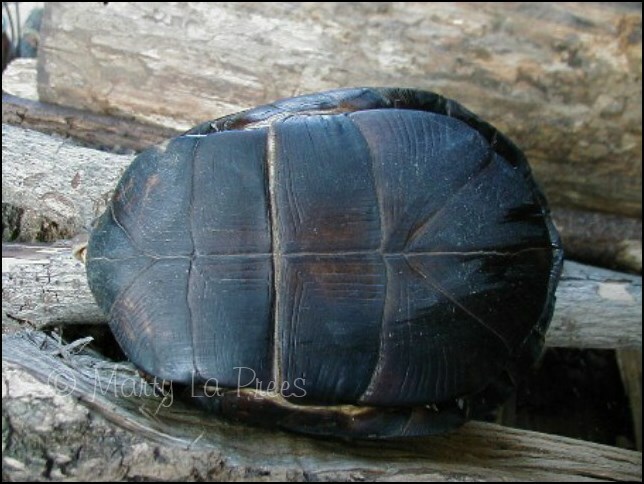 The plastron is black to dark brown, with a strong concavity on the males. 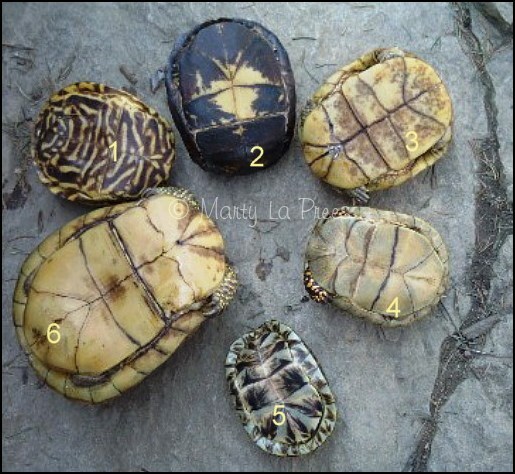 Their skin areas are black to brown and lightly marked compared to other subspecies. 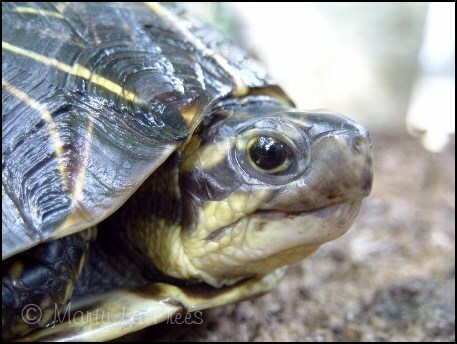 Some males may have a pattern of white patches on the sides of the head. There are 4 toes on the back feet. High humid, forested habitats with lots of ground cover are their ideal environments. 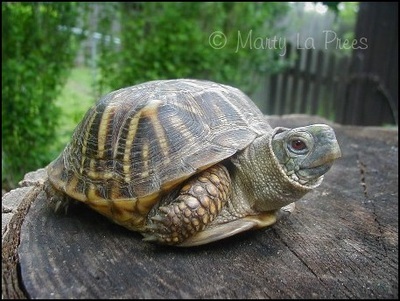 Gulf coast box turtles are found along the northern Gulf Coast, from the Florida Panhandle to Louisiana. 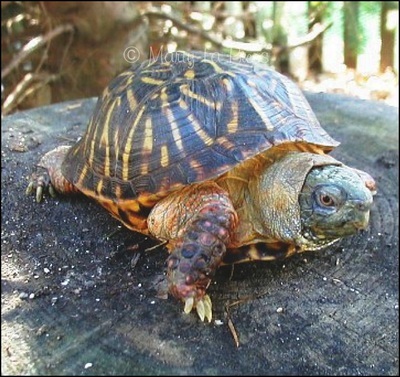 The Florida box turtle (Terrapene Carolina Bauri) usually has a dark carapace with streaks of light yellow, long continuous lines on each scute (each scale section of the shell). The shell is long and narrow, but some females can be almost oval. 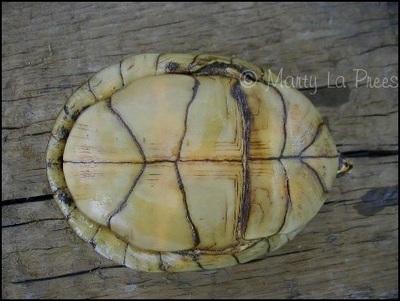 The plastron can be yellow or marked with brown lines. 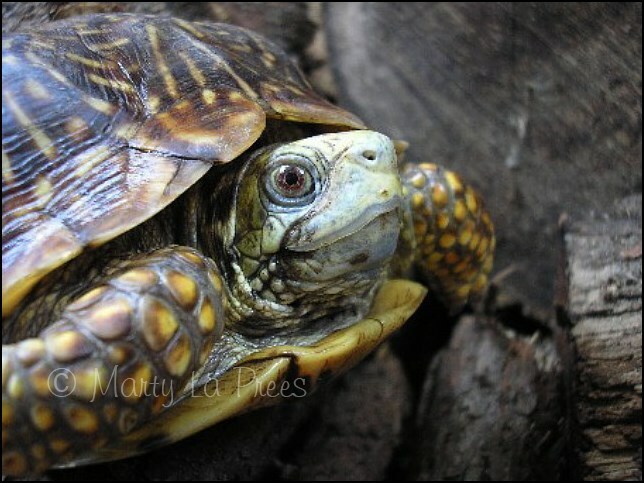 The head, neck, and legs are dark brown to black, sometimes with dull yellow markings and often having 2 stripes on each side of the head. The males eyes are not as red as other subspecies. The back feet have 3 or 4 toes. 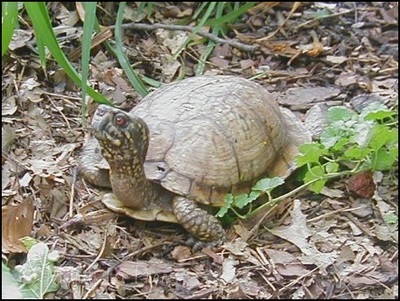 Florida Box turtles live in moist woodlands, but also sandy grasslands. They are found in southern Georgia, through the Florida Peninsula and into the Keys. 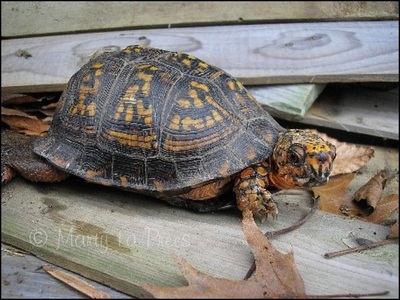 There are is a second species of North American box turtles with two subspecies. 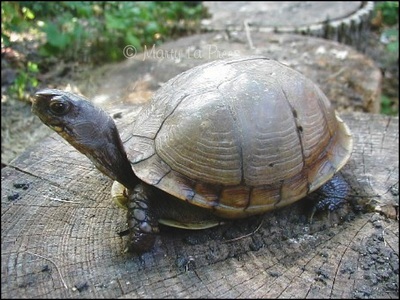 This species is the Terrapene Ornata. The Ornate box turtle (Terrapane Ornata Ornata) has a wide and oval carpace, not having the length as the other species. The color ranges from black to reddish brown. 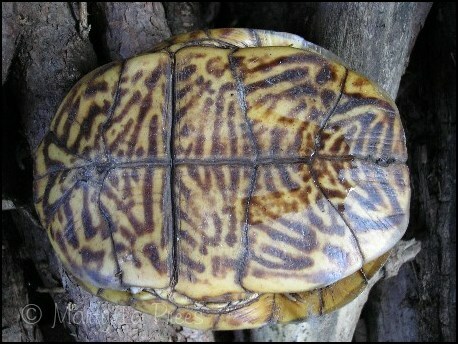 Yellowish lines radiate from the center of the scutes, similar to the Florida box turtle. The plastron also has radiating lines on a light brown background. The head and legs have yellow spots and the back feet have 4 toes. 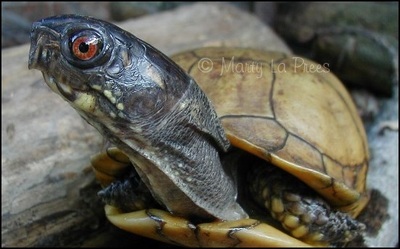 Often the males and females have the same eye coloring, with the iris of the males reddish and the females are a dark yellow. 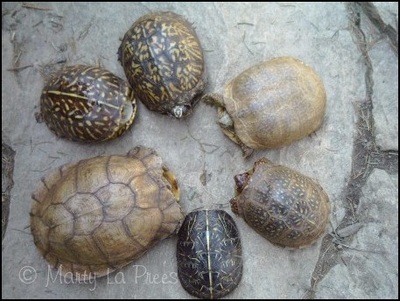 They are grassland box turtles, preferring open fields and short grass praries. The ornate box turtle is found in Indiana and Wisconsin to Louisiana and west of the Mississippi River. 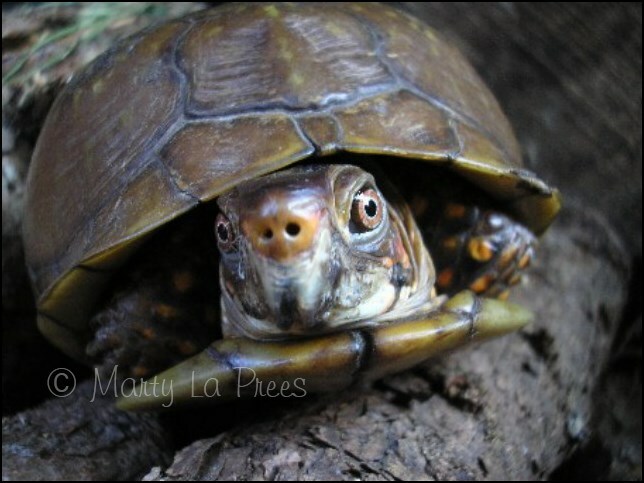 Desert box turtle (Terrapene Ornata Luteola). is the other subspecies of the Ornata. The carapace of this box turtle is usually yellowish-brown with more lines on some of the scutes. As they age, they often lose this pattern. As their name suggests, these turtles live in desert and semi desert areas. They are native in Texas, New Mexico, and Arizona.